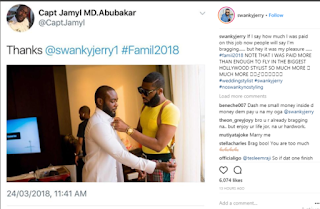 Celebrity stylist, Swanky Jerry has hinted it cost a fortune for the Dangotes to hire him for their daughter, Fatima’s wedding to Jamil Abubakar. 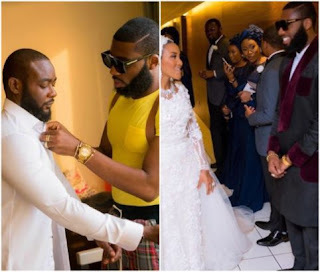 They stylist via his IG also commented on American comedian and actor, Kevin Hart’s appreciation of his stylist during his wedding, advising Nigerians to celebrate their own, at least the same way give accolades to Americans. This post is everything and more ….. 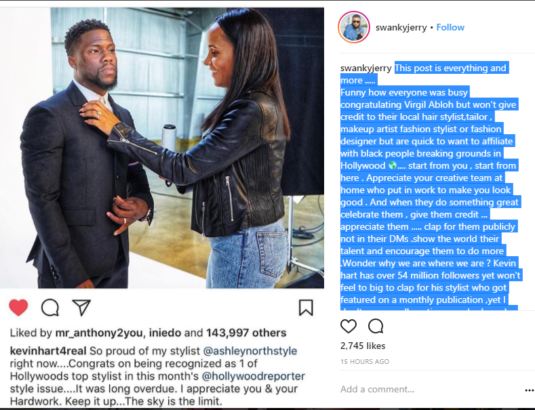 Funny how everyone was busy congratulating Virgil Abloh but won’t give credit to their local hair stylist, tailor , makeup artist fashion stylist or fashion designer but are quick to want to affiliate with black people breaking grounds in Hollywood 🌎…. start from you , start from here . 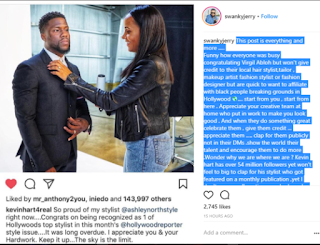 Appreciate your creative team at home who put in work to make you look good . And when they do something great celebrate them , give them credit … appreciate them ….. clap for them publicly not in their DMs .show the world their talent and encourage them to do more .